Ayushman Bharat Yojana / Modicare is a flagship universal health insurance scheme for 10 crore poor families (50 crore citizens). National Health Protection Scheme (NHPS) / PM Rashtriya Swasthya Suraksha Mission (PMRSSM) will provide cashless treatment upto Rs 5 lakh p.a to all those whose name appears in Rural & Urban Beneficiary List. The complete list of urban and rural beneficiaries is prepared on the basis of SECC-2011 Data and is released at the official website pmjay.gov.in. This Rs. 5 lakh insurance coverage is for secondary and tertiary hospitalization procedures in public and private empaneled hospitals. Central government will create a database of the targeted beneficiaries which will consists of all the details of deprived households. There is no need to make online enrollment for the scheme as the beneficiaries are already being selected. People can check their name in PMJAY beneficiaries list at mera.pmjay.gov.in. Treatment Packages Rates are finalized by the central govt. and will soon be uploaded on the NHPM Portal. Latest Update – Check PMJAY List of Hospitals to find Ayushman Bharat empanelled hospitals. On 14 April 2018, PM Narendra Modi has opened first wellness center in Jangla, Bijapur, Chhattisgarh. See List of Services at Health and Wellness Centers (HWC). Previously on March 22, Modi govt. 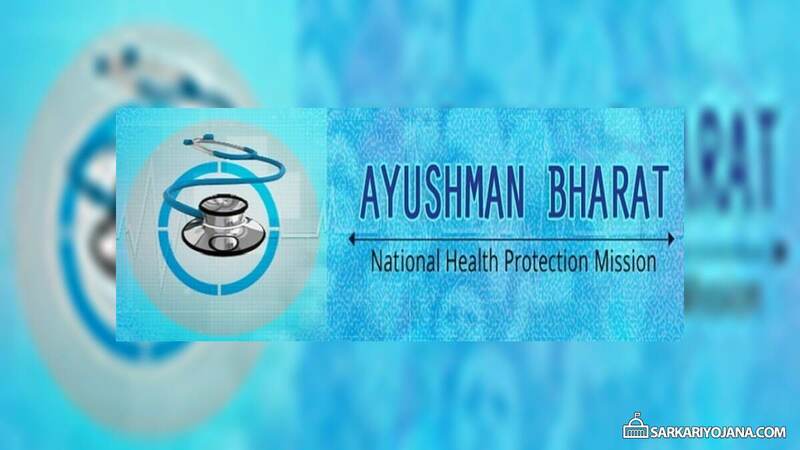 has approved Ayushman Bharat National Health Protection Mission (AB-NHPM). People can also make Ayushman Bharat Yojana Beneficiaries Registration at CSC (Common Service Centers). See complete list of urban, rural and other beneficiaries here. The total number of households in India are 244.9 million (24.9 crore). Out of these total households, 177.9 million (17.79 crore) households are in rural areas while 65.2 million (6.52 crore) households are in urban areas. As announced in Union Budget 2018-19, this scheme will target 107.4 million (10.74 crore) poor, deprived rural households and identified occupational category of urban workers. These beneficiaries are identified through the Socio-Economic and Caste Census – SECC-2011 Data. Here we give a description of the eligible beneficiaries which are included in this National Health Protection Scheme (NHPS). Next in the new window, enter your active mobile number and verify it using the OTP. After verifying your mobile number, you can view the eligible beneficiaries list through the methods if Search by Name or Search by Ration Card Number or Search by Mobile Number or Search by RSBY URN. 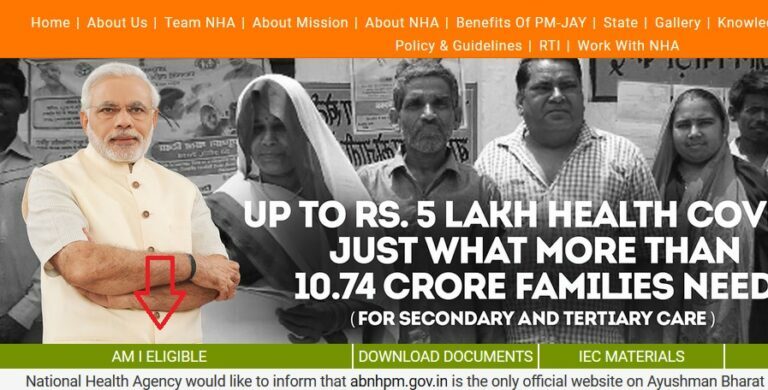 The new “Am I Eligible” portal for checking the eligibility for PMJAY is live at mera.pmjay.gov.in where one can heck his/her name in the list of beneficiaries. After the successful implementation of this scheme for BPL Families, central govt. is planning to cover the entire population under this Universal Health Insurance Scheme. Central govt. will implement this Health Assurance to ensure proper healthcare facilities to all. The above mentioned category wise distribution data will tell us about the intent of government to benefit poor families. Now every person must avail better health care facilities and live a healthy and disease free (aarogya) life. Central govt. will also transform 1.5 lakh Sub Centers and Primary Health Centers as Health and Wellness Centers (HWC) to provide comprehensive healthcare to people. There is no income limit, cap on family size and age limit to avail its benefits. Ayushman Bharat Yojana 2018 will also cover pre and post hospitalization benefits and its benefits are portable across the country. NHPS Scheme will provide benefits to deprived rural families and identified occupational category of urban workers families. All the families (both in rural areas and urban areas) which got included in SECC-2011 data can apply and avail benefits. This scheme will get rolled out across all States / UTs. Ayushman Bharat Yojana 2018 will also subsume Rashtriya Swasthya Bima Yojana (RSBY) and Senior Citizens Health Insurance Scheme (SCHIS). NHPS is specifically designed to be dynamic and aspirational and it would take into account any future changes in exclusion / inclusion / deprivation / occupational criteria in the SECC data.